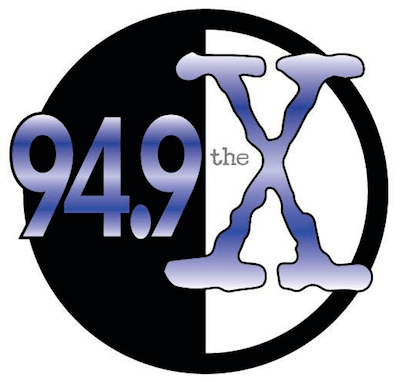 WMSR-FM relaunched as “94.9 The X” on Monday. The rebranded AAA is running jockless with a streamlined playlist. The new station’s logo is very reminiscent of the defunct Alternative “107.7 The X” WRAX Birmingham. Original Report 10/26: URBan Radio Broadcasting AAA “Star 94.9” WMSR-FM Collinwood TN/Muscle Shoals AL appears to be on the verge of a format change. WMSR-FM had made national headlines when a stunt tied to its flip from CHR to AAA led local listeners to believe that the “space aliens that had hijacked the station” were going to bomb local schools. Now that AAA format appears headed for some kind of change as the station has gone jockless and has dropped the syndicated Kidd Kraddick Morning Show. URBan Radio President Kevin Wagner registered 949TheX.com last week for the station. Wait, they flipped to AAA and kept the Kradddick show? I mean, it’s a good show, but not what I think of when I think AAA. I didn’t quite understand that, either. However, now that they’ve dumped him, there’s a smattering of complaints on their new Facebook page, so people seemed to like his show. I find it very interesting that Kidd’s show is still on the air w/out him.